It is in the very nature of a business, to let go of underperforming employees and hire ones they think has the potential to be a better replacement. It is very much a cycle. But, as for these new recruits, it is not as easy as getting a call from the employer saying how they got the job. It is months and months of being under a magnifying glass, months of careful training, and months of being in a probationary position. It is a deliberate effort in an employee-to-be to fully grasp the job that he or she is trying to acquire, so in the end, certainty will prevail. The certainty of having a stable job and so on. 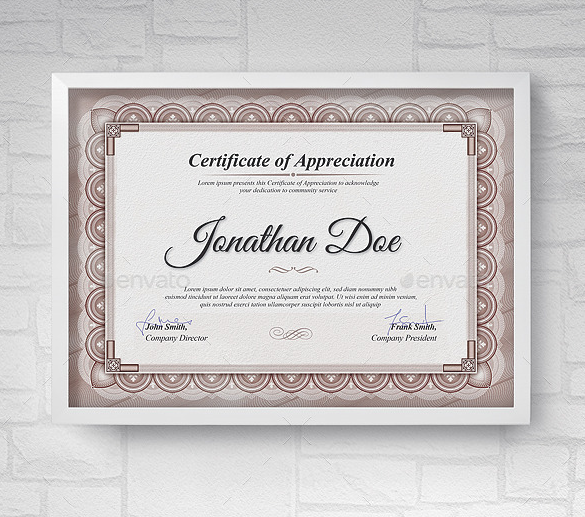 You may also like free certificate templates. As for the new recruits, it is mandatory to undergo a procedure wherein they have to go back from scratch to really get the full idea of how to do things (even if they have been employed in a higher position in their previous job). It is getting acquainted with the job, with the things to do, with the skills needed, and so on. 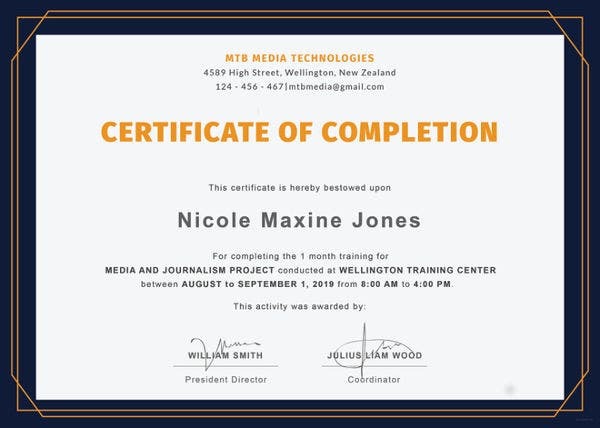 Training in the first few months of any new job is paramount to longevity, it is learning and understanding how things work in order to sustain the momentum. 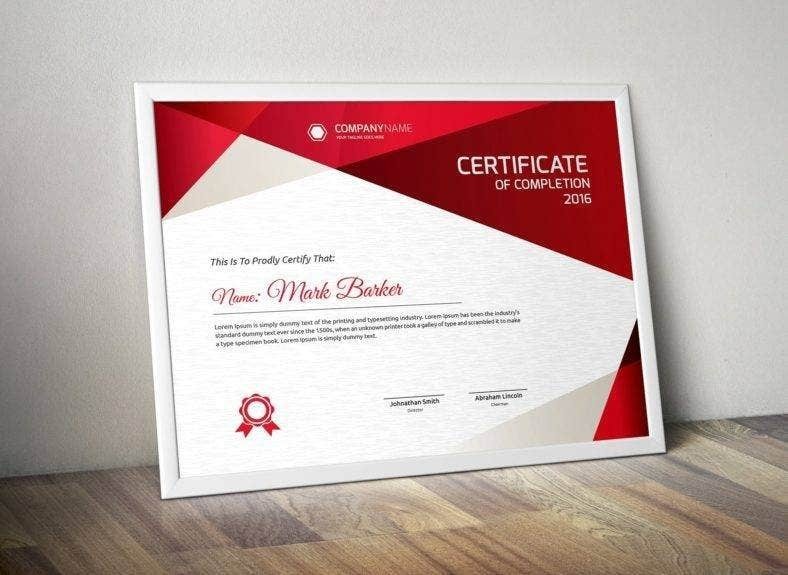 So, if you are an employer that has an employee training program and is seeking a certificate to honor your newly hired employees, all of whom underwent intensive training to be better prepared and knowledgeable for the job, here is a list of Training Completion Certificate to recognize and honor their efforts in undergoing the process of being a trainee. Why is it Important to Train Employees for Your Business? It is a little-known fact that most employers in any business or company discount the very idea of training their new employees as, to them, it is an added cost. But little do they know, there is a return of value with training employees before putting them in the actual field or work area. By training your newly recruited employees, you are giving them an avenue to learn much more than they know. In doing so, you are either furthering their knowledge about a certain information or even skill or expanding their knowledge or capabilities to a much broader sense. With that in mind, not only are you molding an employee to be ready for your business or company, but you are molding them to be competitive generally. Well-trained employees are beneficial to a company or business, knowing that employees are the asset of any business, it is important that any employer invests in their employees. Employees who underwent training have the capacity to be productive and efficient since they know what they are doing, it is inevitable that they perform their utmost at any task. This also prompts a good sustenance for the small business, when employees are productive they are not only cashing in on profit but they are also able to sustain their relationship with their clients. Having a training program for employees right before they dive into the field assures of lesser mistakes once in. This actually helps not only the people surrounding the ‘new’ employee but the whole business in general. An untrained employee might cause loss of time and money in the business leading him or herself, even others, to become ineffective. Mistakes made by untrained employees affect the business in great magnitude (actually more than people realize), there is the redoing of a task when it is not done properly or the shelling out of another sum due to the incorrect procedure made. These, although might seem too little to affect a business, can actually or eventually cost the business or company more if there is a repeat in occurrence. The furthest extent of having untrained employees can do is be the reason for the loss of clients or customers. Noting the ineffectiveness of one in a business or company can cause disdain to some (or even most) of the business’ loyal patrons, thus putting it in a position where it is at so much risk. 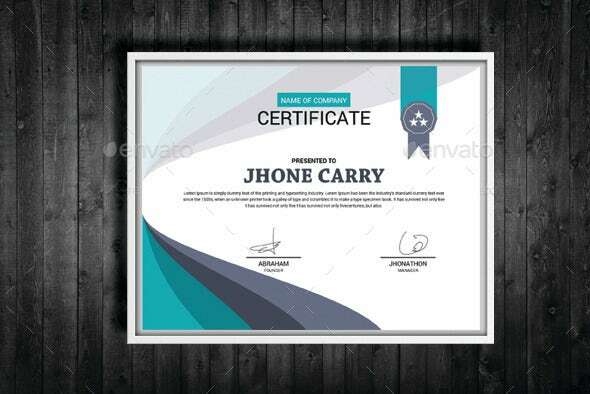 You may also see blank certificate templates. All these mentioned can be avoided by simply implementing a training program for employees at the start of their job in your business or company. Also, when they are trained, employees tend to be more happy, productive, and efficient, the exact opposite of the situations mentioned earlier, because they are able to meet the standards imposed by the business or company or the ones they have imposed by themselves. 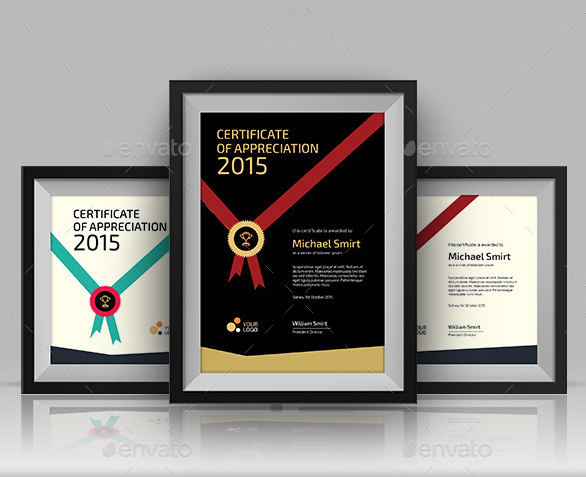 You may also see excellence certificate templates. 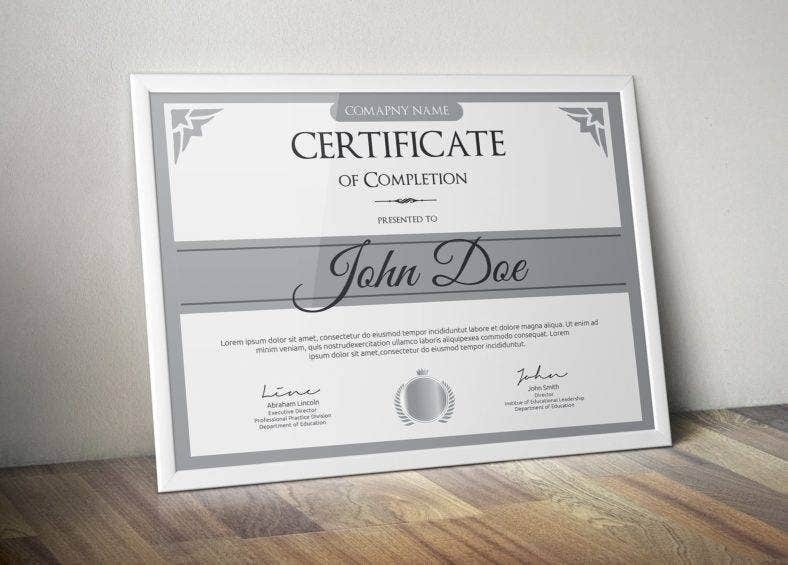 It is very important that at the very end of the training program for employees they should be recognized and honored for their effort and persistence through a Training Completion certificate. This will also serve as a culmination for their trainee status, into becoming a full-fledged employee of the business or company. In doing so as well, assures the employee that any effort moving forward will be validated and recognized and will (most definitely) not go unnoticed. Because, if an employee feels valued or appreciated when he or she is just beginning to work in the company, will most likely make them feel the same in the years to come in his or her career in your company or simple business. 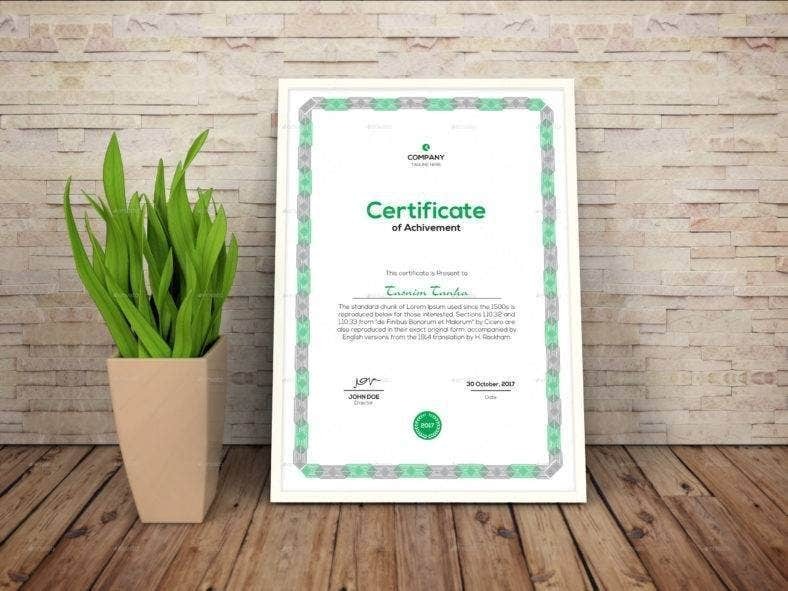 Recognition of any kind, that includes the training completion, even in the simplest form is paramount in a workplace as it enables an individual to perform better. With the assurance of efforts and hard work being valued and recognized, it prompts an employee to perform as good or as better than he or she has done. With that said, it actually becomes a domino effect when you are generous enough with compliments and recognition to your employees. It starts with you, the employer, noticing how great they have been doing and that “they should keep it up!” then, it leads to the employee to feel valued, which will give them enough motivation to perform, in turn, benefitting the company for the excellent productivity one has imparted which will bring in more profit and clients sustaining the business or company for as long as it can (live). 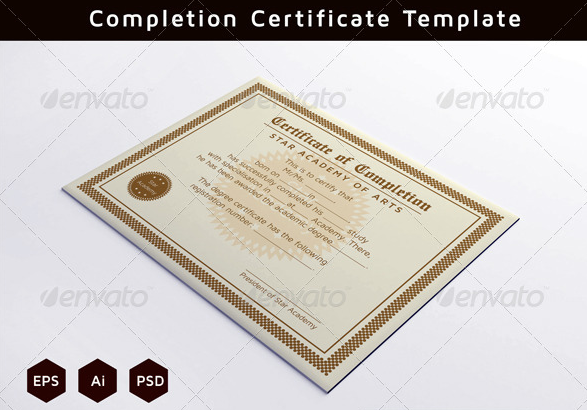 You may also like PSD certificate templates. 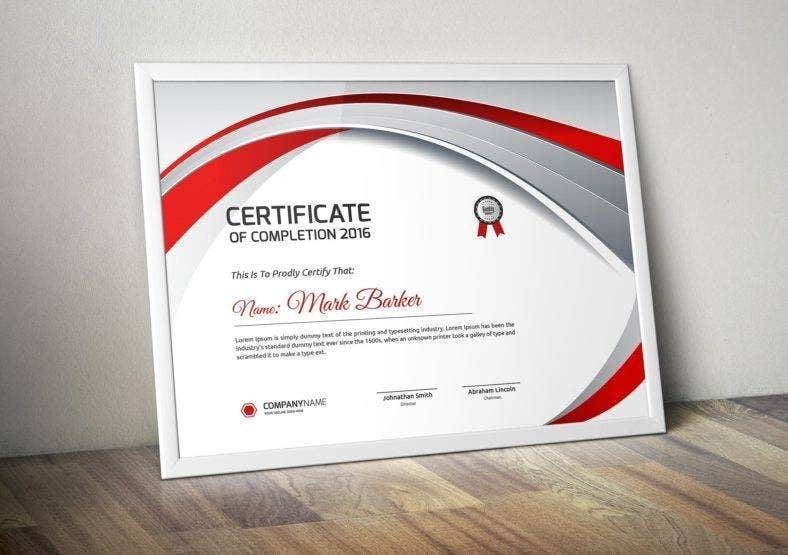 Where Can You Get Your Very Own Training Completion Certificate? 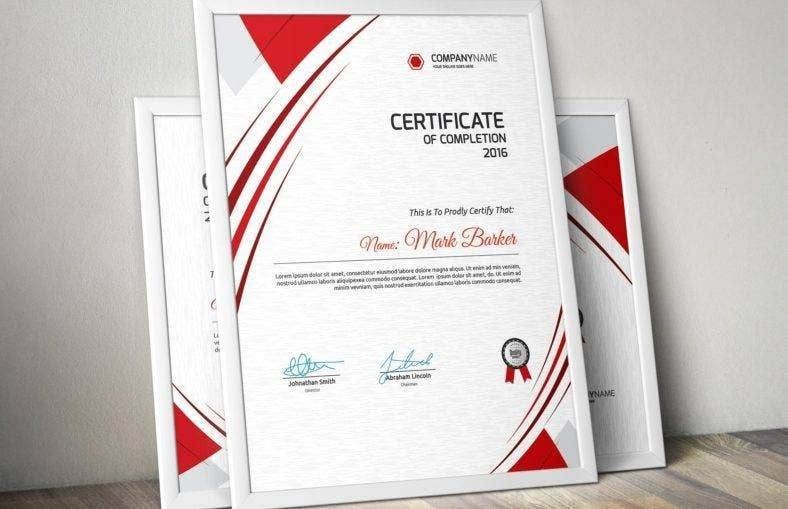 There are different ways with how you can acquire your very own Training Completion certificate or any certificate for that matter. 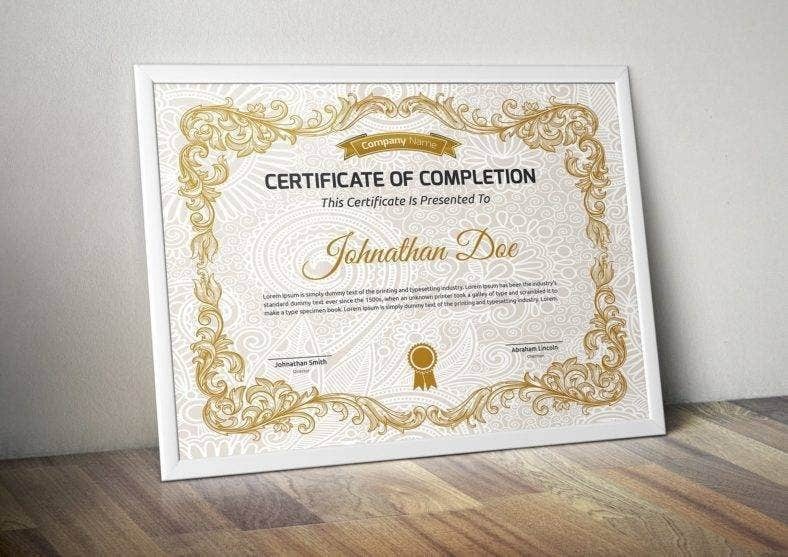 But out of all the various options out there, the most ideal is by buying a pre-made certificate that is readily available online. 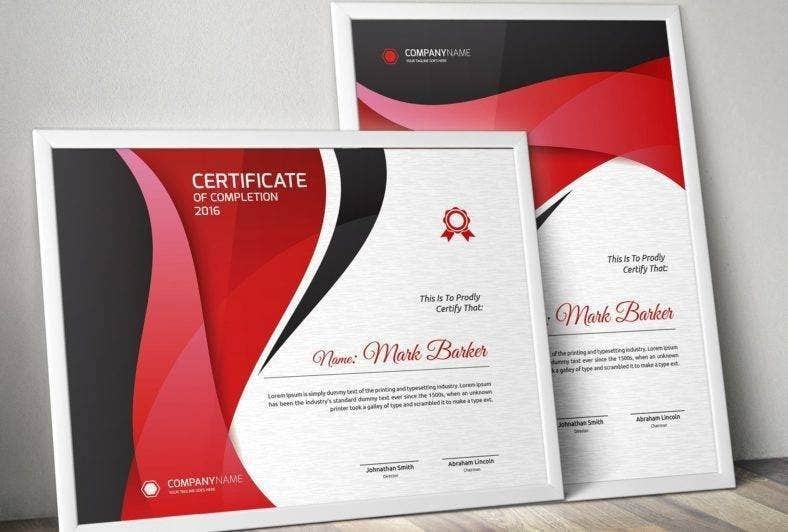 Pre-made certificates are packed with benefits that make it stand out among all other options. First, a pre-made design does not cost a lot since it is made by a graphics artist based on his or her preference. 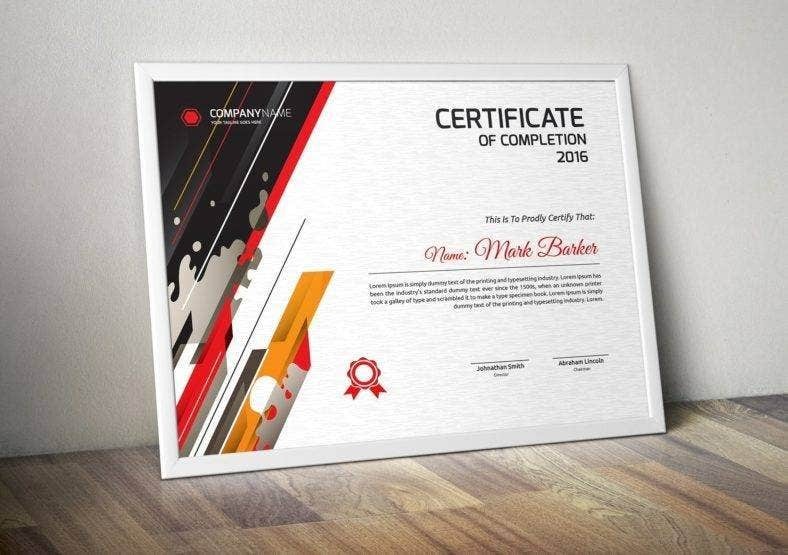 You may also see free certificates. Compared to other options, like for example having it custom-made with a professional graphics artist can really cost you more since there are demands and requirements that a graphics artist has to abide. 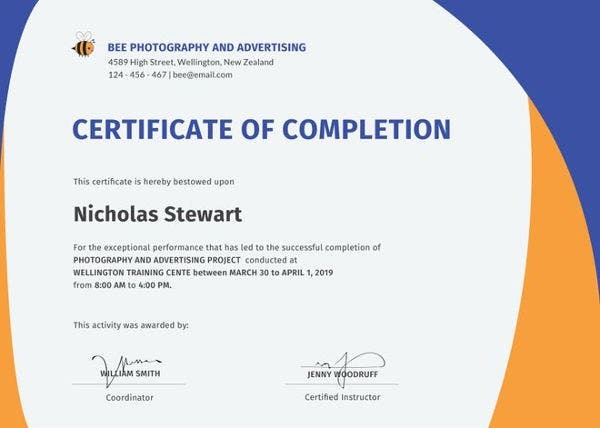 Also, considering the numbers of consultations and the numbers of hours that went into the designing and creating of your certificate, it is inevitable that their fee go high, making them an expensive option to go for. 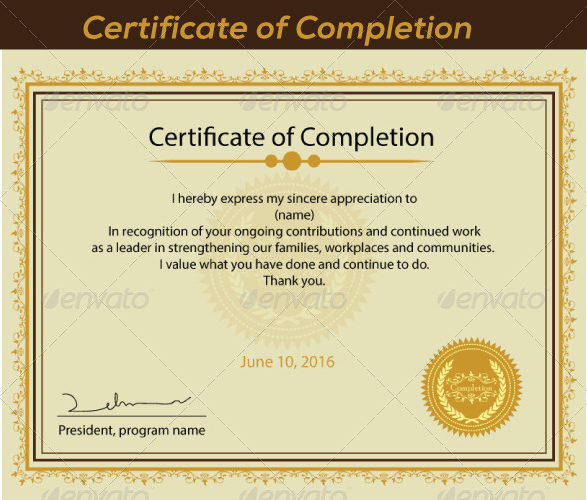 Pre-made certificates are all very easy to edit and customize, especially since they come in a file that is very easy to do so. 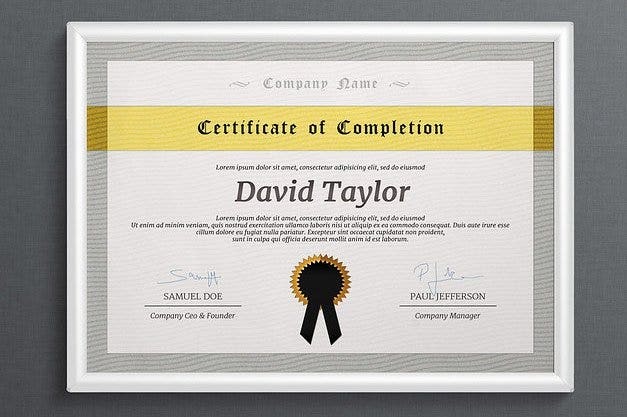 Some even come with smart object layers allowing you to move around elements in the design creating a more personalized certificate. 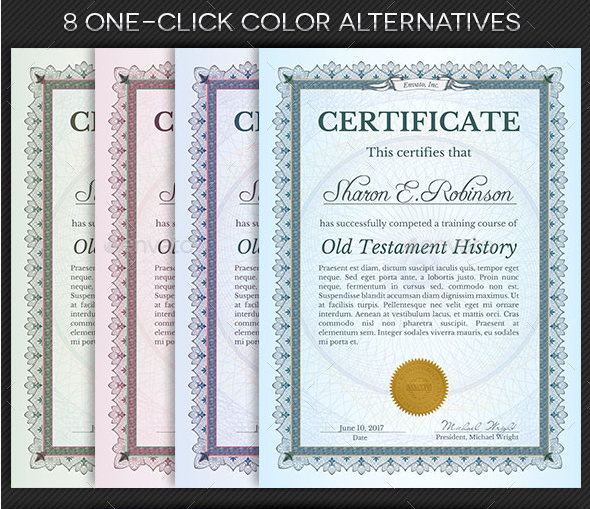 Moreover, pre-made certificates are fully customizable from texts to cool fonts, to colors and sizes, to name a few. If you ever found this article helpful in any way, do not forget to bookmark this page for future references. 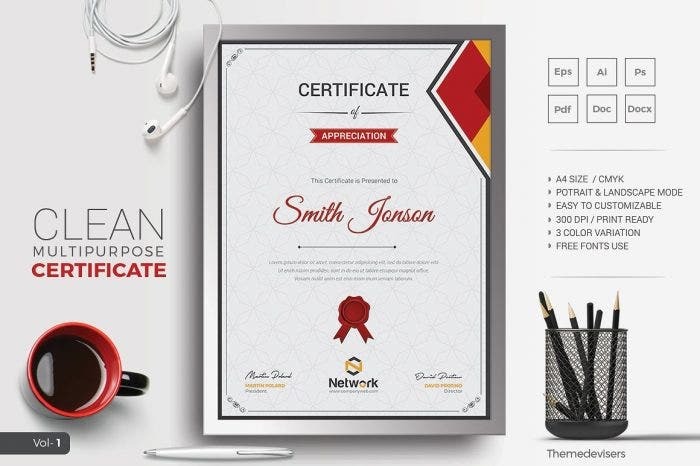 And, kindly share this with other employers or employee trainers seeking the best training completion certificate designs and templates.